To avoid hills on hot days sometimes I ride through neighborhoods where wealth, arrogance and ignorance collide. Where waste is believed to be a sign of privilege and exceptionalism. Where exceptions can be bought and squandered. California is in a severe drought. You would not know it from this neighborhood. It's hard for me to ride through this area and see all the waste. It's frustrating to look at but when you rely on human power the route options aren't many. A perfect day for a ride. Sundays are good days to be out on the road, low car traffic and high bicycle traffic. Add some sun and temps in the low 70's and you have it, a perfect day to be pushing pedals. 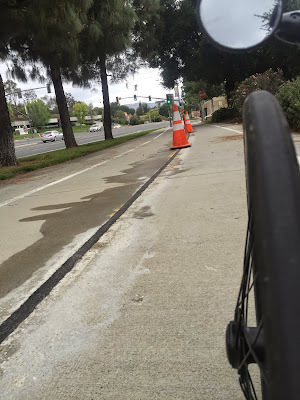 Feeling energized and wanting to stroke my ego a bit by showing up a few DF riding MAMILs (Middle Aged Men In Lycra) I left the Kojak wheelset at home and put on my American Classic, 23/622 Ultremo, wheelset on "Black" and took off on a short but fast (for me) ride. The little bit of extra speed I get from the 23/622 is just enough to show off what a old guy on a performance Catrike 700 can do. It's all in fun and I don't take it seriously. I'm just out having a good time and connecting with other riders. One poor lady had her MAMIL drop her to try and catch me. He gave up. Guys, don't ever drop the lady your with to chase down an old guy on a tricycle. Not cool. Especially if that old guy leaves you in his wake and you have to think of an excuse for your "poor performance". Todays ride on my Catrike 700 "Black" with the DT Swiss XR 331/Kojak rear wheelset on a cool overcast day. I like the Topeak Morph pumps. Over time I have unfortunately had to use both Road Morph and Mini Morph pumps while on the road. Here's my take on the two different size Morph pumps. The Mini is virtually the small version of the larger Road but without the pressure gauge. They both have a flexible air hose that makes it easy to attach the pump to the valve stem without damaging the stem. In addition both pumps have a flip out foot hold so the pump can be placed on the ground and secured with one foot. The Morphs eliminate the need to hold the pump secure to the valve stem with one hand while pumping with the other. With the Morph both hands can be used to pump air making it easier to get more pressure in the tire. I've found the Mini Morph easier to use with high pressure tires. It's shorter stature makes it easier to manage while pumping. It takes more strokes then the Road to increase pressure, but the Mini wobbles less, which makes it possible to actually get some realistic pressure in those skinny tires. On lower pressure tires both the Road Morph and Mini Morph work equally well. With the Mini Morph I can comfortably get the pressure in my 23mm Ultremos up to 95psi. I use my heel to step on the foot hold and use my leg as a stabilizer and start pumping away. The Mini is rated at 160psi but I think I could probably get up to 110psi before my elbows tell me it's enough. Oh, the price us mature folk pay for using skinny tires. 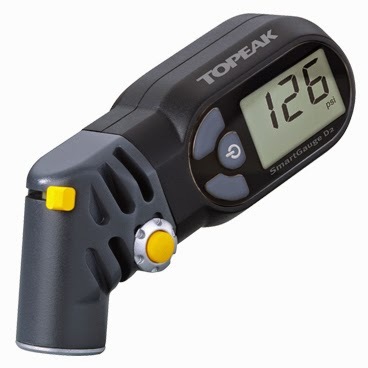 NOTE: For a pressure gauge I use a Topeak digital gauge. It's small, fits in the palm of my hand, and weighs 0.15 lbs (70g). This very short bike path that bypasses a busy street is a "what were they thinking" moment. The path is about six or seven years old. It should be required that any engineer who designs cycling infrastructure should also be a cyclist. This oversized seam is right in the center of the path. The rubber caulk has failed. This poor design requires constant maintenance. Time to send an email off to the City of Westlake Village. Being on a trike nothing much happened. A scuffed tire is all I suffered. 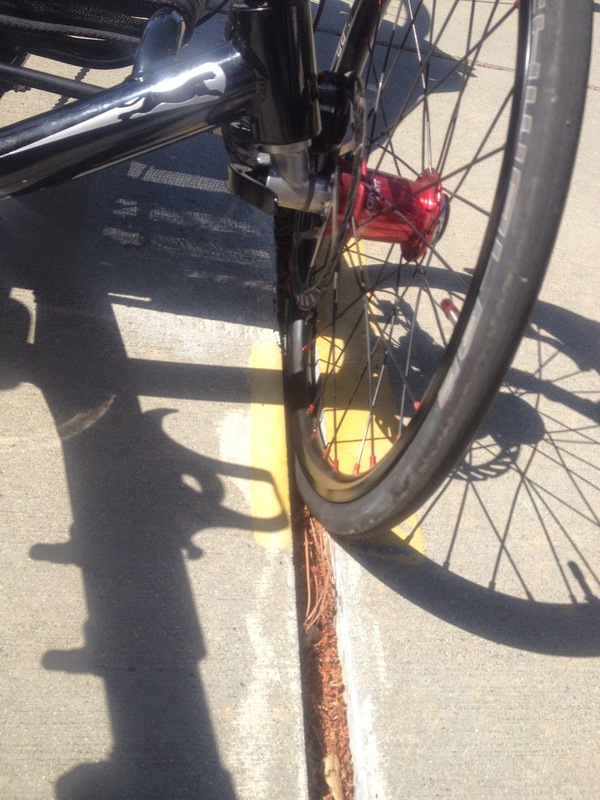 Imagine being on two wheels and your tire lands in this rut. I sent an email to the City of Thousand Oaks back in April. Work is finally being done to repair the problem. At first glance this new gearbox seems interesting. 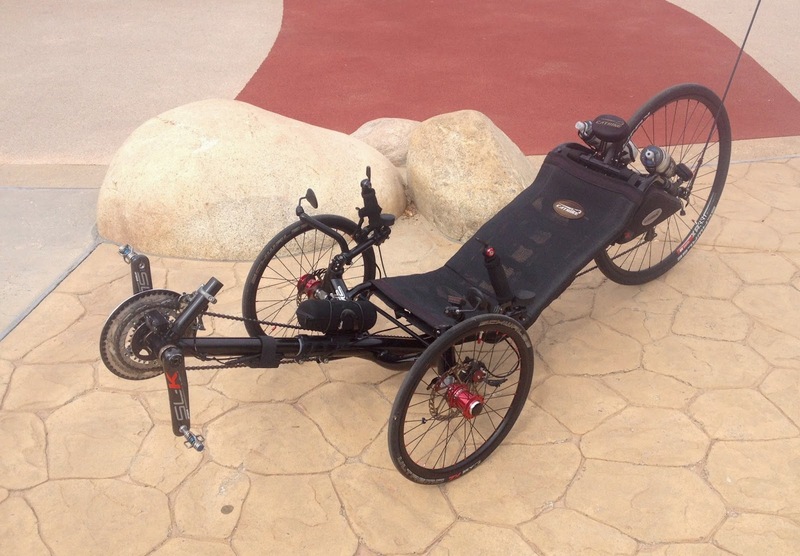 Although Catlike and other recumbent manufacturers would have to build a new boom with a Pinion specific bottom bracket. But at 2698g (5.9 lbs) it seems like a bit of weight to be hanging out at the end of a boom. Oh well, still seems interesting. 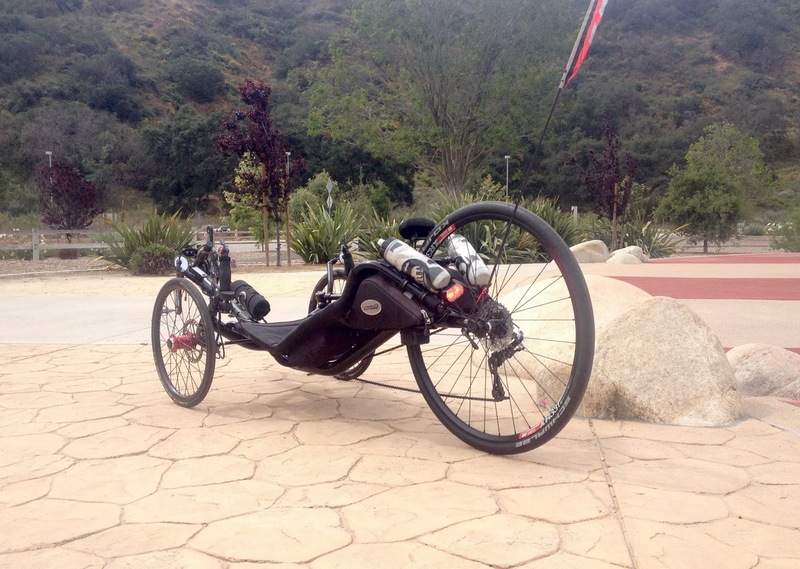 Recently I posted about the new wheel setup for my Catrike 700 "Black", Catrike 700 Sweet Spot. I've taken a few more rides since that post on March 27th. I'm not sure how much I'll be using the old American Classic Aero with the 23/622 Ultremo. The Kojak/DT Swiss wheelset makes for a sweet ride. It seems that the key to maintaining a fast and nimble ride is keeping the 23/406s on the front while smoothing out the rode a bit with the 35/622 Kojak on the rear. Bottom line...if I want to squeeze every ounce of speed and acceleration out of the 700 then I use the 23mm Ultremo mounted on the American Classic Aero wheel. For the slight bit of speed loss (not often noticed) and considerably more comfort then going with the 23/406s on the front and the 35/622 Kojak on the rear is the answer. Note: The DT Swiss XR 331 rim is considered a MTB rim. It has a 20mm inner rim width (see DT Swiss tire chart). I went with the more robust rim for peace of mind when charging down rough roads. Sometimes city planners get it right. 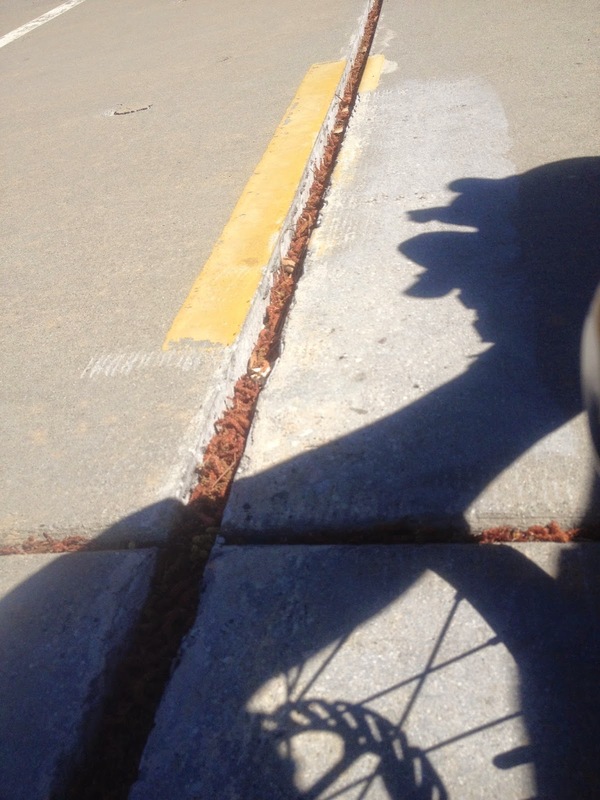 While widening the bridge over the 101 in Thousand Oaks (my neighborhood) a path was added to provide a save ride on the Lindero Canyon overpass. Lindero is a busy street and it was a nightmare to ride the short section that crossed over the freeway and eventually dumped into Costco. I would avoid it whenever possible. Even if it meant taking a detour that added a few miles. The wannabe, properly dressed, roadies still ride the busy and fast road by taking the lane for about a half a mile. I'm more then happy to be a weenie and ride the path. It's better to be a live weenie then lycra clad road kill.